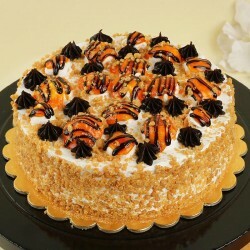 Make all the occasions of your loved ones beautiful and endearing with our yummy and delicious butterscotch cakes. 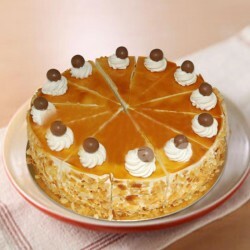 With a crunchy taste and a luscious flavour, a butterscotch cake is an ideal choice to make for your special ones. Believe us, this indulgence is worth it! Butterscotch is a confectionery item and its primary ingredients are brown sugar and butter. The butterscotch flavor is mild and nutty, and this is why this flavor has become the favorite of many! If we travel back into time, there are a few interesting stories around butterscotch. According to one elucidation, the meaning of to cut or score for the word scotch is behind the naming as the confectionery has to be cut into pieces before hardening. While cakes come in an endless range of flavors and toppings, some flavors have become instant classics, and a butterscotch cake is certainly one of them! In fact, we've even gotten inventive with the times, and we now have the likes of butterscotch caramel cake and the heavenly chocolate butterscotch cake as well! These iterations of the butterscotch cake are as tempting and refreshing as they sound, and there's hardly anyone who doesn't love its nutty taste! Egg or eggless butterscotch cakes - Which one to choose? 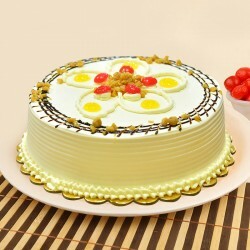 Egg or eggless, our butterscotch cakes taste simply amazing! We understand your preferences can be different; sometimes a usual cake will do, while at other times an eggless one is the only one that'll do. 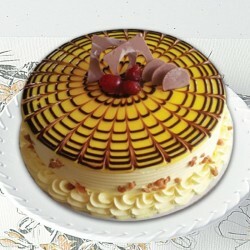 Keeping every kind of occasion in mind, our range of cakes includes regular, eggless, designer, and photo cakes. For grand occasions with large gatherings, ordering an eggless butterscotch cake makes all the sense in the world as you may not be familiar with the preferences of people. 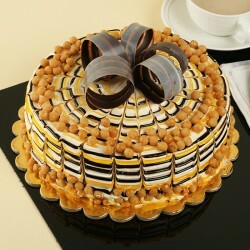 In our range, you'll also find gorgeous eggless butterscotch cakes, in the same designs and flavors as normal cakes. The sweetest way to say, happy birthday cake or happy anniversary cake or I love you is to give a wonderful surprise. The receiver's joy might just quadruple after he unwraps the box to find a luscious butterscotch cake decorated with confetti and surrounded by fresh fruits or nuts. 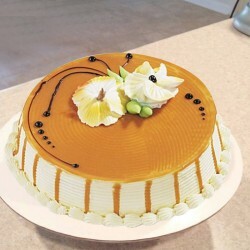 A butterscotch cake is also perfect for occasions when you're looking to convey thanks or congratulate someone on an achievement. With midnight gift delivery available at MyFlowerTree, send a butterscotch birthday cake and surprise your loved ones living far away. Our super fluffy and tempting butterscotch cakes will make the best surprise to begin a birthday celebration. Add a personal touch to it! 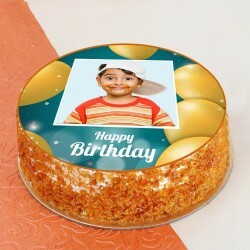 Photo cakes are in great demand as such cakes make celebrations more special. 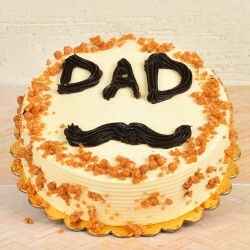 Also, a photo cake can be used by people to express their feelings for a special person. These cakes are unique as they have a memorable picture on the top. 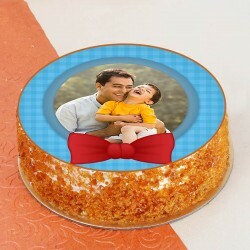 We have a fascinating range of butterscotch photo cakes where you can relive your good memories. Yes! 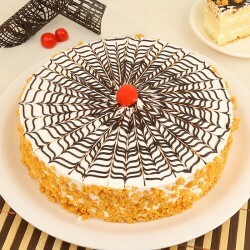 Just upload the picture you want on the top of your cake, when you buy a cake online on MyFlowerTree. Providing free delivery to your doorstep, we deliver cakes, flowers and gifts, to around 408 cities in India and 28 countries in the world. 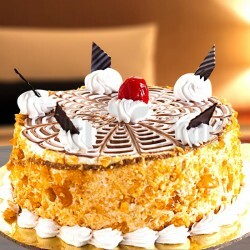 If you love indulgence of the butterscotch cake kind, this is where you'll find the best of the lot!